School officials answered Ebony’s cries for help by sending her away in a police car. 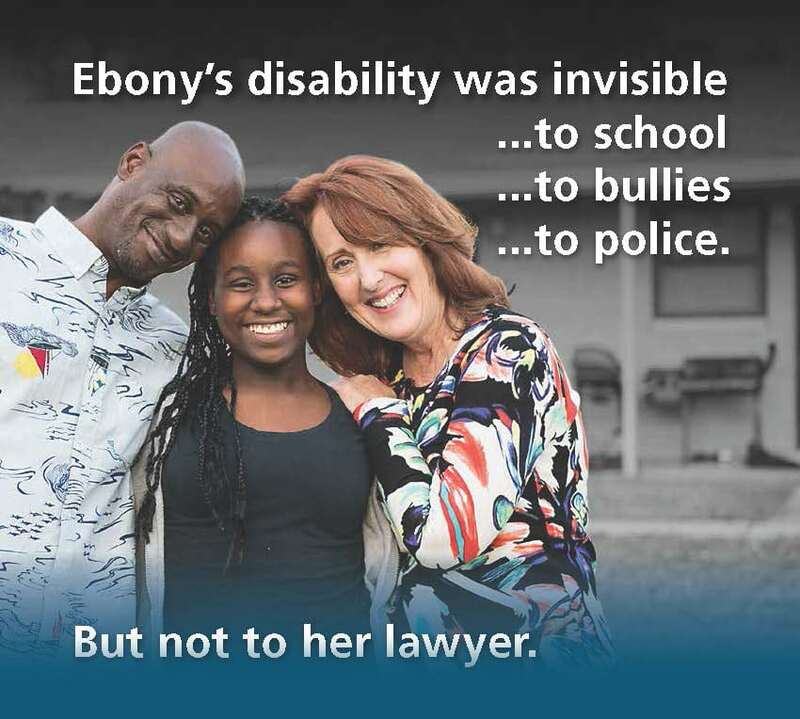 Thanks to your support of The Florida Bar Foundation’s Children’s Legal Services grants, she and her father had access to a legal aid attorney, who defended Ebony’s rights, secured accommodations for her disability and stopped the bullying. The medical, educational and mental health needs of poor and foster children often go unmet because no one is there to protect their rights to services that would substantially improve their lives and to which they are legally entitled. 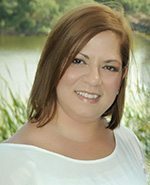 The Florida Bar Foundation’s Children’s Legal Services grants support legal assistance to poor children in critical areas that affect their safety, well-being and future development. For-example, instead of languishing in a medical foster home or an institution, Brittney is thriving as part of her new family because of a handful of people who cared. She is one of thousands of Florida children whose lives have been transformed by legal aid, but many more are still in need. You can open doors for Florida’s most at-risk children by providing them with advocates. Please help today. Your gift of as little as $10 a month can make a difference. Together we can make sure that Florida does not fail its neediest children. Since 1999, The Florida Bar Foundation has funded special annual grants for legal assistance to children. Starting in 2000-01, gifts to the Foundation from The Florida Bar Fee Statement have supported these grants. The Foundation’s Children’s Legal Services grants help provide access to special education and health-care services required under law and support projects that engage pro bono attorneys in providing legal assistance for low-income children. In 2018-19, the Foundation gave Children’s Legal Services grants totaling $1,467,000 to 20 children’s legal services projects to help children overcome legal barriers and pave the way for them to lead better lives and become productive adults. All funds contributed to the Children’s Legal Services Campaign provide direct support to programs that better the live of Florida’s children. No administrative fees are deducted from these contributions. 2) Add the amount of the gift to the TOTAL PAID box and include it in the check total. Donate online or send your tax-deductible gift payable to: The Florida Bar Foundation, 875 Concourse Parkway South, Suite 195, Maitland, FL 32751. Please earmark your gift for Children’s Legal Services. For more information, call our Development Department at (407) 960-7000.